Any birdwatcher who has traveled widely knows that the success of an birding expedition depends far more on who is charge of finding birds than on the birds themselves. Where an average guide makes you feel like you have front row seats to a special show, a truly great birding guide pulls back the curtain and takes you backstage to hobnob with the stars. I’m sorry to say we’ve lost a truly great bird guide. Hugo Haroldo Enriquez Toledo has died, apparently as a result of injuries suffered in an automobile accident. Anyone fortunate enough to visit Guatemala within the last decade or so may have had the privilege to see many, many excellent birds because of Hugo’s skill and savvy. I certainly did while participating in International Birding Encounters in 2008 and 2009. 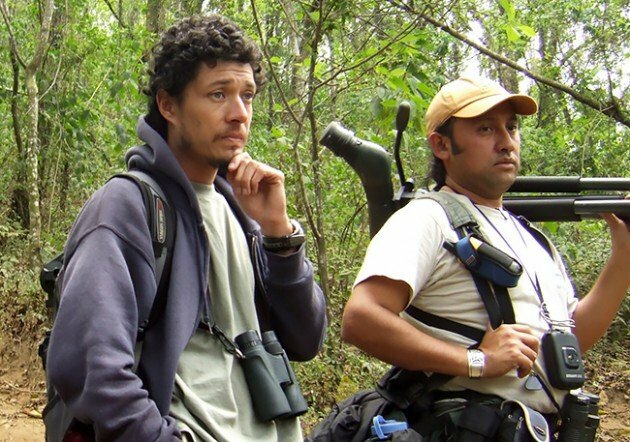 From Antigua to Atitlan to the Peten, Hugo (pictured above with guide Gustavo Cañas) helped reveal some of the best birds and birding bonhomie Guatemala has to offer. Besides being a phenomenal bird guide, he was a warm and wonderful human being. And quite the therapist for those of us who were about to lose it when we embarked on the Horned Guan Death March up the volcano on Lake Atitlan. As with so many steep trails, the descent can be more perilous than the ascent. Birding took a backseat to staying alive and upright. I’ll never forget, though, how ebullient the mood was and how dark it might have been. I’ll also always remember how amazing our guide was. Hugo Haroldo Enriquez Toledo has shown me a lot of amazing areas and avifauna over the last two years. His skills are unparalleled, his enthusiasm infectious. In fact, when many of my traveling companions were too exhausted to fit in that extra hour of birding before or after a trip, Hugo always grabbed his bins in search of more. And yet San Pedro was his finest hour. That we found our target wasn’t a shock since, in sixteen attempts, Hugo had only gone guanless once. No, I had complete confidence that if anyone could get us on the guan, he could. What was amazing was that he made it at all. Hugo, lugging a scope, bins, and the other accouterments of the bird biologist trade, was in the lead most of the trek. Often, I followed him and noted that as we progressed, he was steadily wheezing and coughing. It turned out that he was in the grip of a rough respiratory bug. Yet despite his evident pain, he not only made the trip but stoically set the pace that dragged the rest of us laggards up the slope. Truly great birding guides deserve the kinds of tributes we afford to those who make this world a better place. If you have a fond memory of Hugo, please feel free to share it here. I just learned today of the sad events of my dear friend Hugo. I had known Hugo since 1998 and he was a very special friend. The most remarkable thing about him was his passion for birding. I am privileged to say that I knew Hugo very well and met his wonderful family also. Hugo dying is a huge loss to the birding community and a huge loss to those that knew him and loved him. How sad. 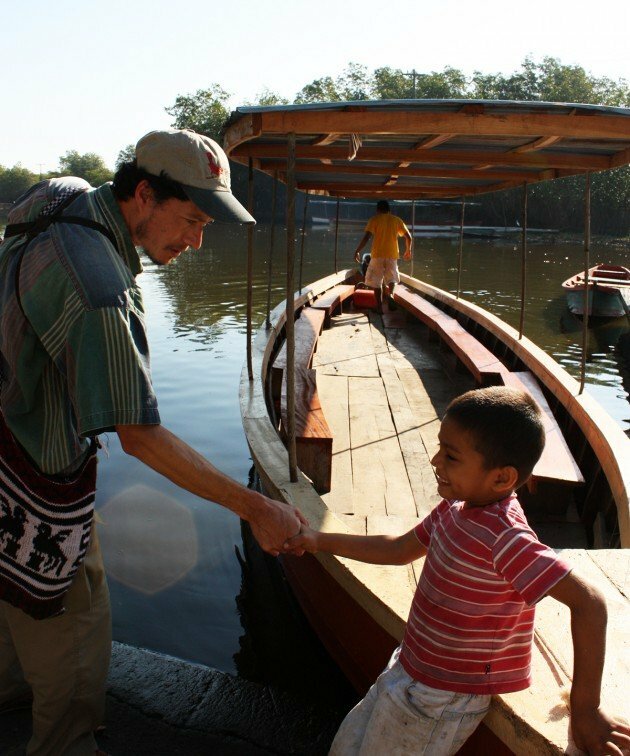 I remember Hugo from a visit to Guatemala in 2010. We missed the guan, a brutal result given the trek, but it was not because of Hugo, who worked so incredibly hard despite the constant interruption by other tourists on the mountain. He had his hands full with our group, but I wish I had the opportunity to talk with him more. He was truly excellent at what he did. A terrible loss. Very sad news.